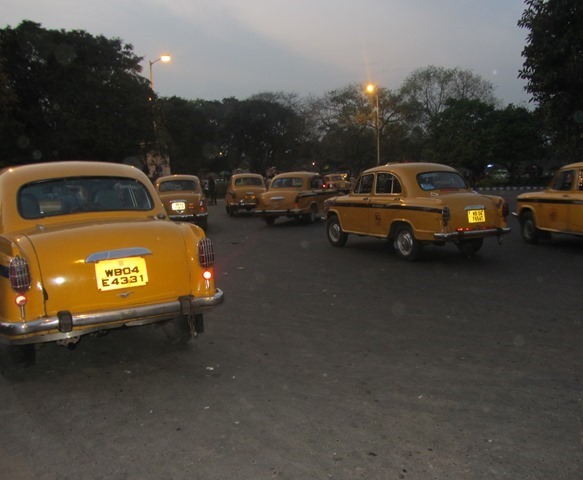 Calcutta(now known as Kolkata)-the City of Joy is a fabulous city to live in, love at first sight you see. 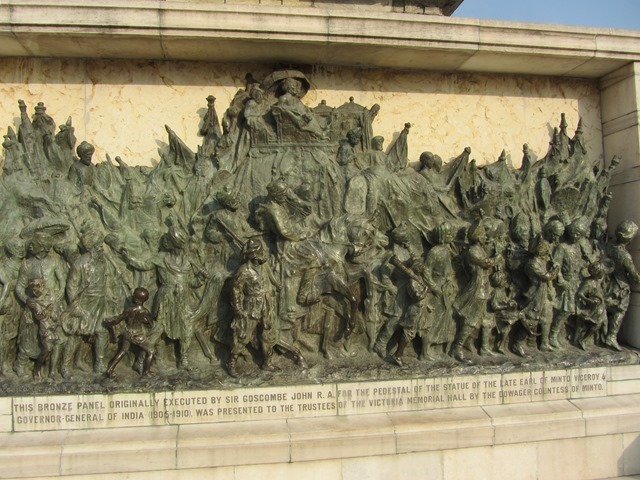 After traveling from Bengaluru, I was there for a mere four days which was not at all enough to see the uniqueness and intricacies of the city-the city with a perfect mixture of modern and heritage buildings,reminiscing about the yesteryear India. 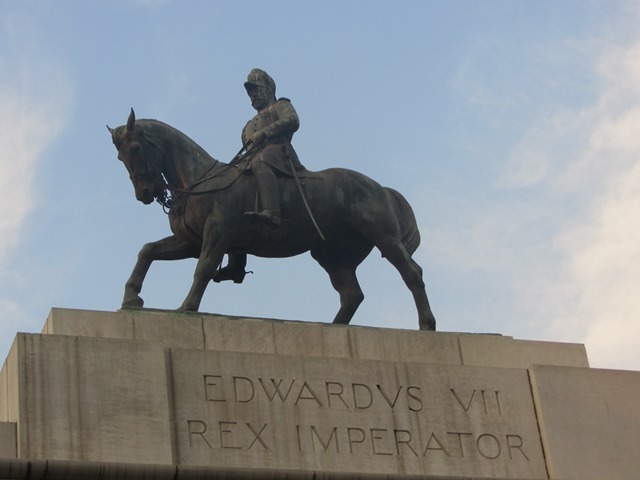 But I tried my very best to visit most of the places in my spare time and this blog post is entirely based on my experiences with the city and not influenced by anything else. Calcutta has always fascinated me since I was a kid because of its rich history(served as the capital of India under the British Raj),sporting culture(Bengalis love their football and cricket),art forms whether its literature or cinema(Rabindranath Tagore and Satyajit Ray are in itself an institution) and above all Bengali sweets (Anyone here who don’t like RossoGulla?? Handful isn’t it?). 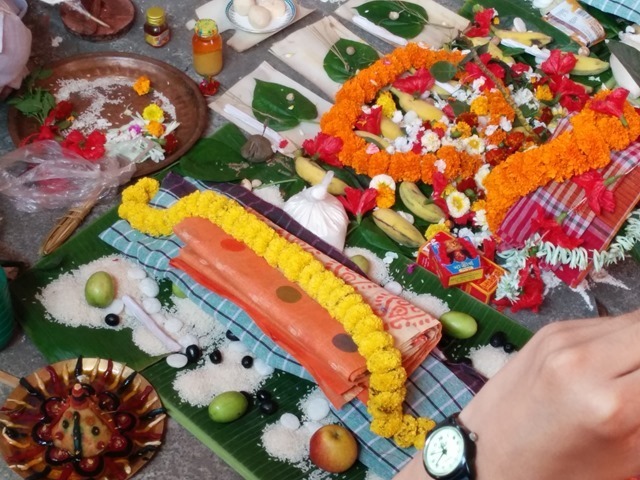 I wanted to visit Calcutta at some point of time and I found the opportunity when one of my Bong friend decided to marry.Also I wanted to know more about the Bengali culture especially their unique style of marriage which is quite different from marriages seen in Southern India. 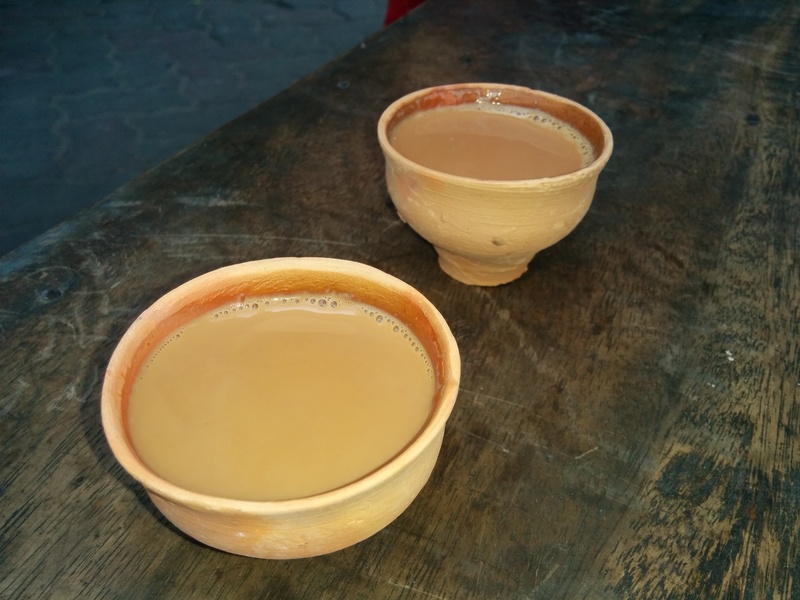 Before we get the ball rolling with our city tour,let’s start our day with a cup of tea by the road side on a kulhar(earthy mug) and The Telegraph newspaper. 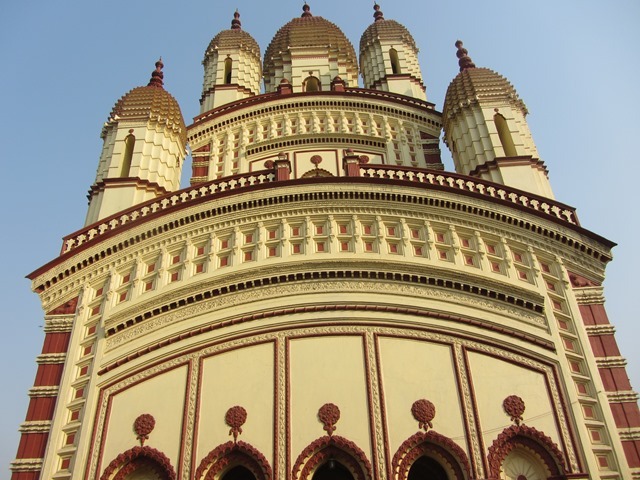 Our first pit stop would be a visit to Dakshineswar in Barrackpore. 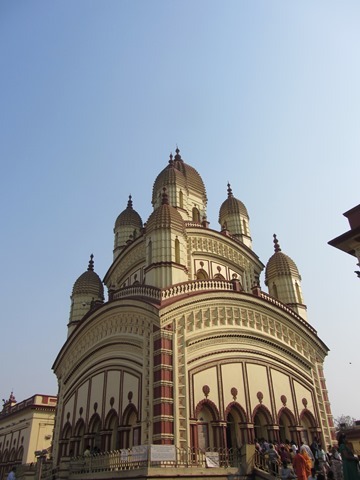 The Dakshineswar Kali temple was built between 1847 and 1855 by Rani Rashmoni. 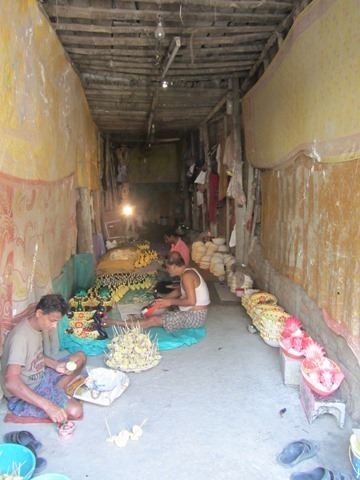 Along with the Kali temple, we have 12 Shiva temples(lingas) and a RadhaKrishna temple situated along the Vivekananda Sethu(Bridge) on the East bank of Hooghly River.The presiding deity of the temple is Bhavatarini, an aspect of Kali, meaning, ‘She who liberates Her devotees from the ocean of existence’. 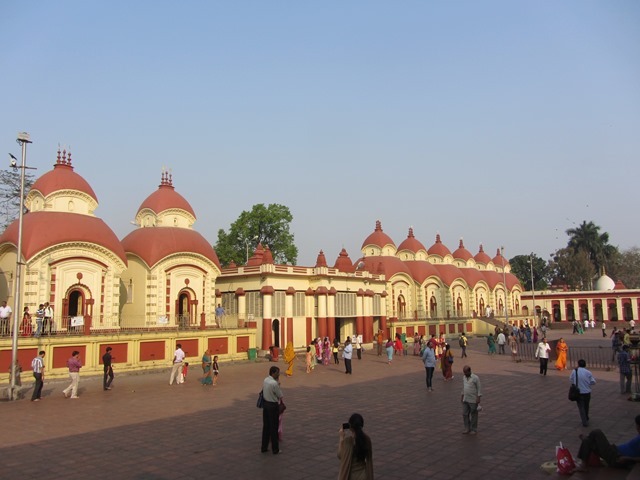 Ramakrishna Paramahasamha, the saint of 19th century, regarded as incarnation of God, set his base here in Dakshineswar. Ramakrishna formed a group of spiritual aspirants which later paved the way for the formation of Ramakrishna Mission. Interestingly,before this temple was built, Nawabs of Chitpur used to hunt tigers in Dakshineswar. Now that we have seen the beautiful Dakshineswar, let’s head to Belur Math on the other side i.e. 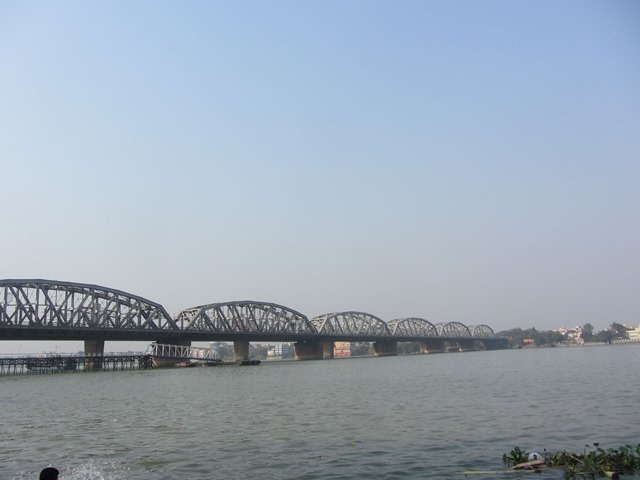 west banks of Hooghly river. 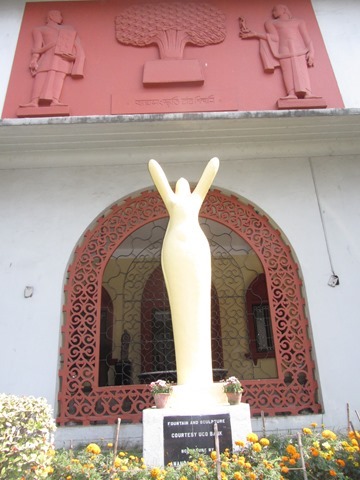 It is the headquarters of Ramakrishna Mission founded by his disciple Swami Vivekananda. This site was carefully chosen by Vivekananda on the banks of holy Ganges(Hooghly) such that a clear view of Dakshineswar and Cossipore- the two important places related to Sri Ramakrishna could be seen which add to its sanctity. 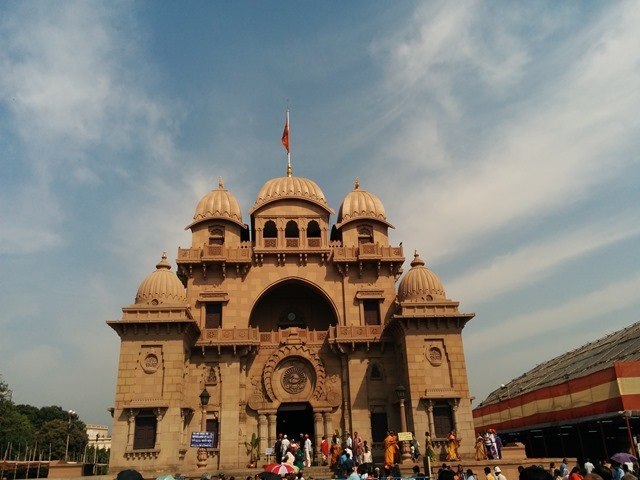 Belur Math is known for its splendid architecture and devotees want to develop inner appreciation of thought through this unique and beautiful architecture. On the day of my visit, it was 180th birthday celebration of Sri Ramakrishna Paramahasamha and visitors, devotees,media were sprawling from all corners of the world. Self note:Visit this place when there is less crowd and more peace. It seems like I am hungry now, so let’s have an early meal. 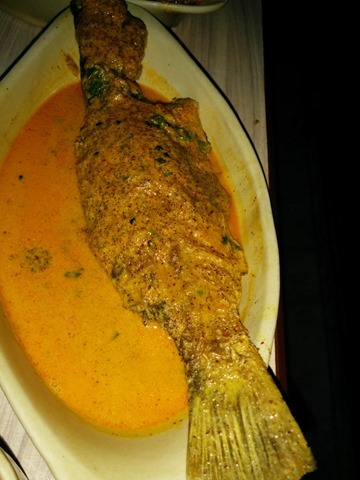 And here in Calcutta, no meals is complete without fish. 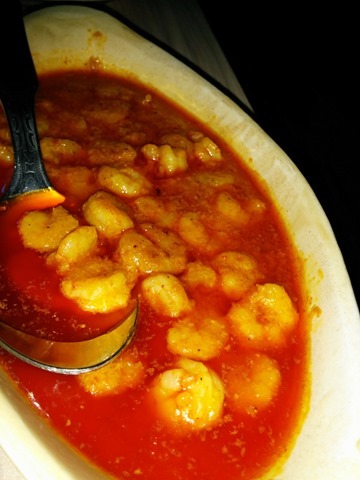 So let’s try the Bhetki fish along with some prawns from a Bengali food chain- Bedouin Sher-E-Bengal in Gariahat. 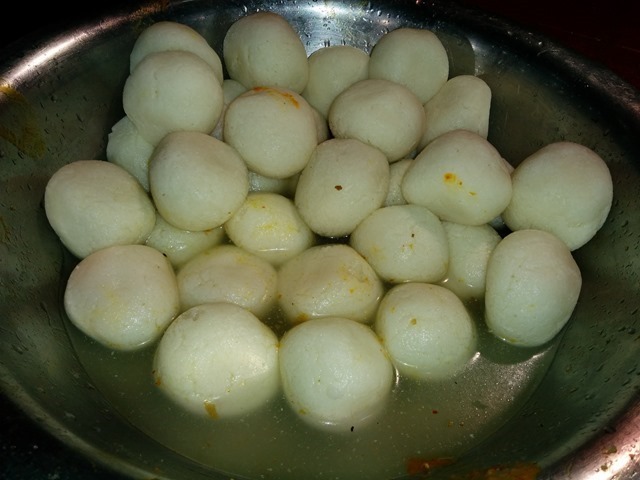 Now lets stroll to St. Paul’s Cathedral-The Mother Church of the diocese of Calcutta in the church of North India.Let’s gulp some RossoGollas as we get there and a bakery of N C Das- Creator of the iconic Bengali sweetmeat is the place to be. 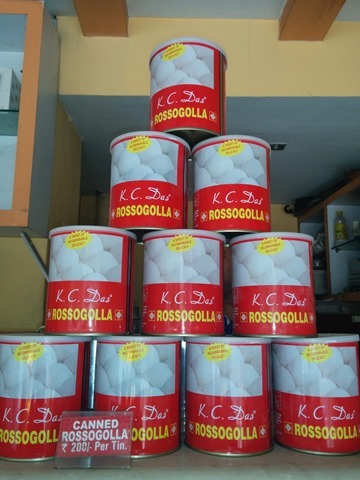 The RossoGolla(highly nutritious,easily digestible and truly a drooling affair) was born in 1868 in a moment of sublime inspiration.Now, the sweetmeat is packaged in a tin and distributed all around the world by his son K C Das. Self note: Get some stock of this sweet rhapsody before leaving to Bengaluru. 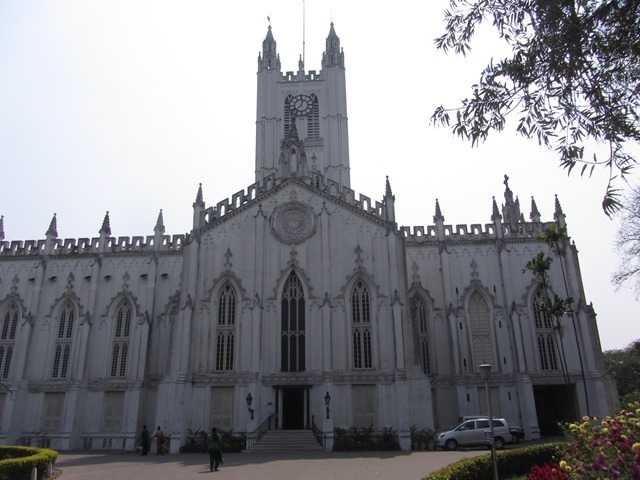 St Paul’s Cathedral church and it’s magnificent architecture is a must visit along with Academy of Fine Arts and Nandan-West Bengal Film Centre which is a stone’s throw away from the church. 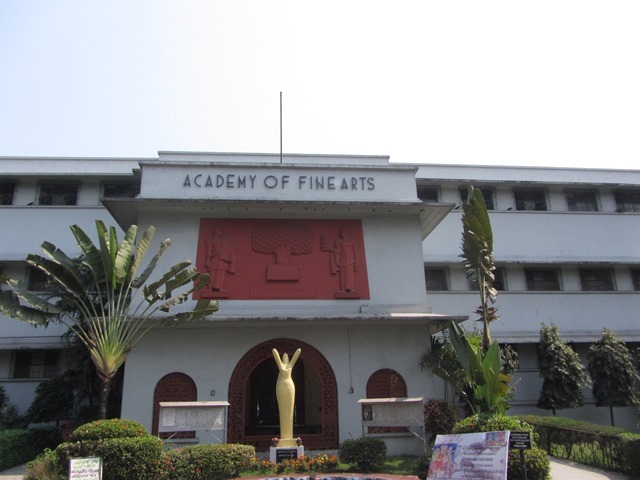 Some of the art installations beside the academy for a exhibition is exemplary. 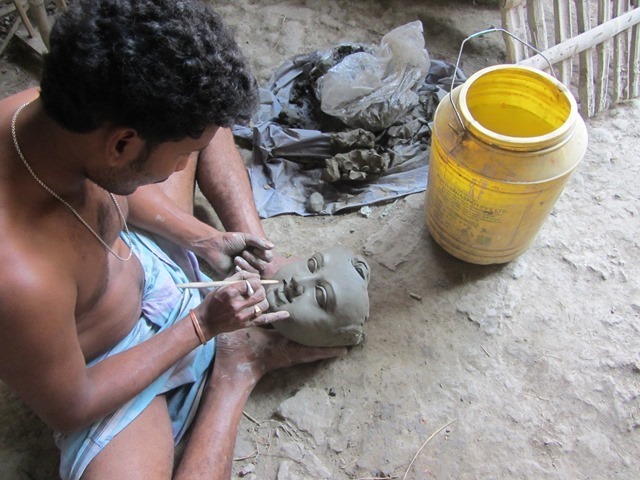 Lets now head to Kumortuli to have some dossier of information on artisans of the potters’ colony in North Calcutta. 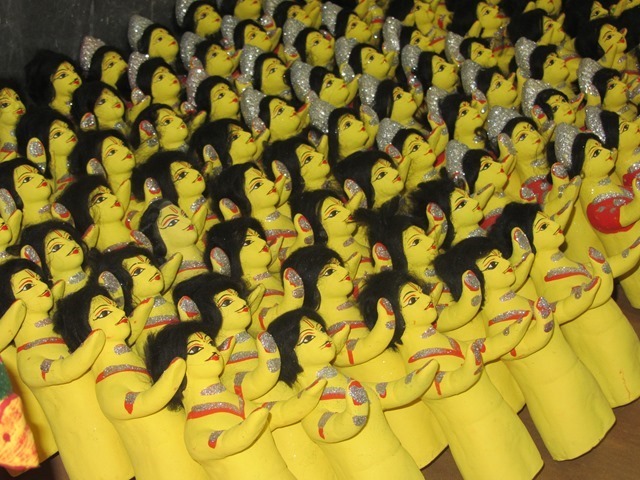 By virtue of their artistic and creative creations their clay idols supplied especially during the Durga Pujo on Dussehra is exported overseas too. 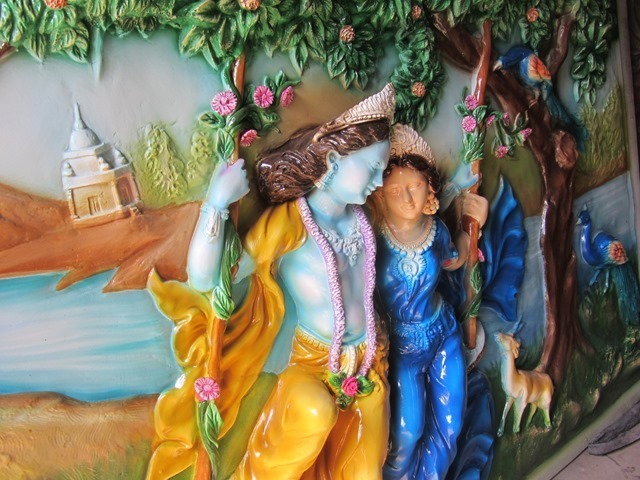 Their idols are mostly ordered well in advance and their clientele includes Indian communities living in America, Europe and Africa. 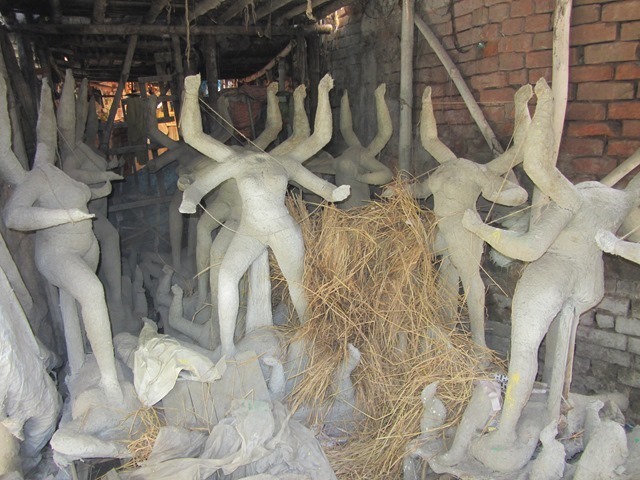 For a record, this colony supplies idols to around 90 countries worldwide with new countries adding each year.Their creations gives greatest joy to Calcutta(The City of Joy) by transforming crude structure of clay to a beautiful, mesmerizing bedecked Bengali bridesque Goddess Durga. 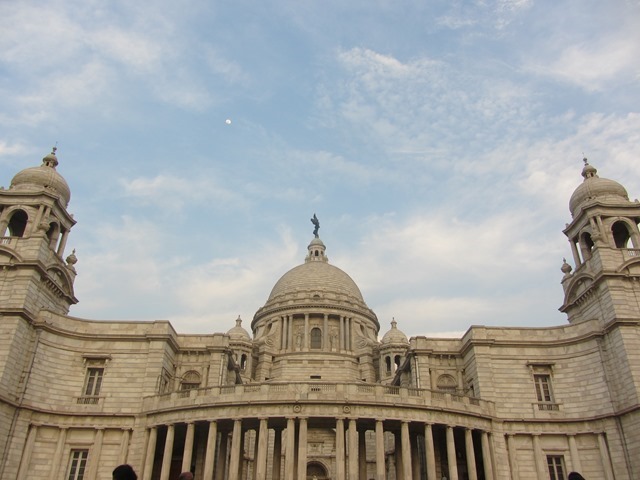 No wonder, this colony is one of the seven wonders of Calcutta. 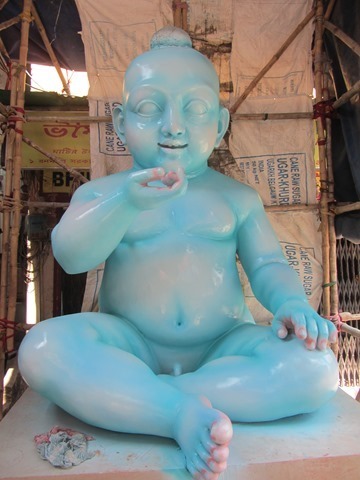 During Pujo, these idols are supplied to countless pandals all over Calcutta. 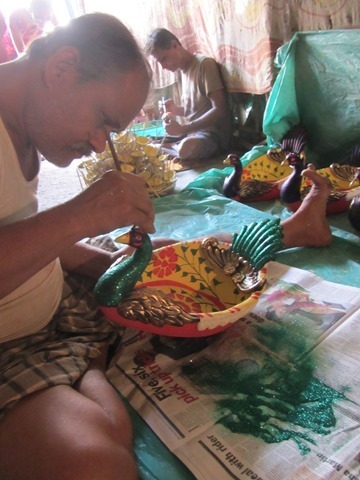 That their creation is going to leave Calcutta in awe and admiration for the entire duration of the festival and even beyond that is of no consequence to them as it is a just a means of survival to these talented and very skilled artisans, most of them creating these idols since a long long time. Needless to say, I was in awe of this place and their great artistic skills. 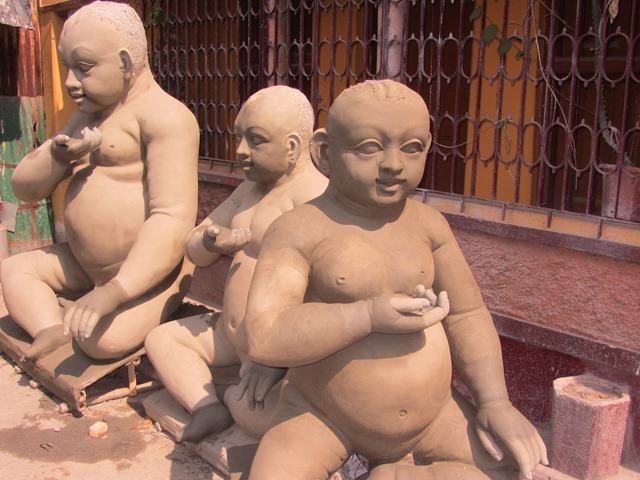 Self note: Pay a visit to Calcutta and this colony during Pujo. 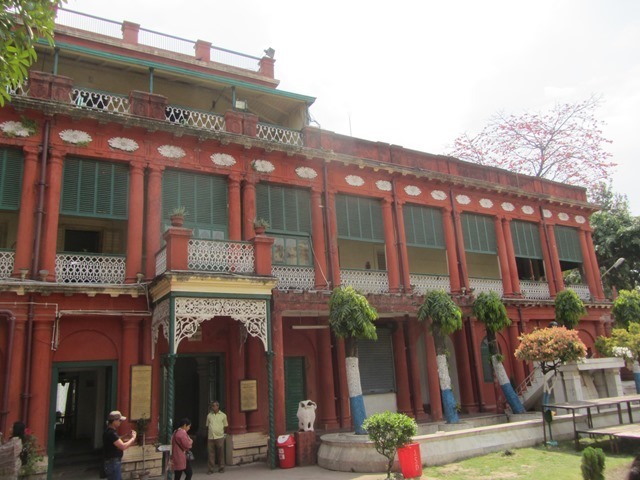 Next stop is Jorasanko Thakur Bari (meaning House of Thakurs(Tagore)) in a place called Jorasanko in North Calcutta. 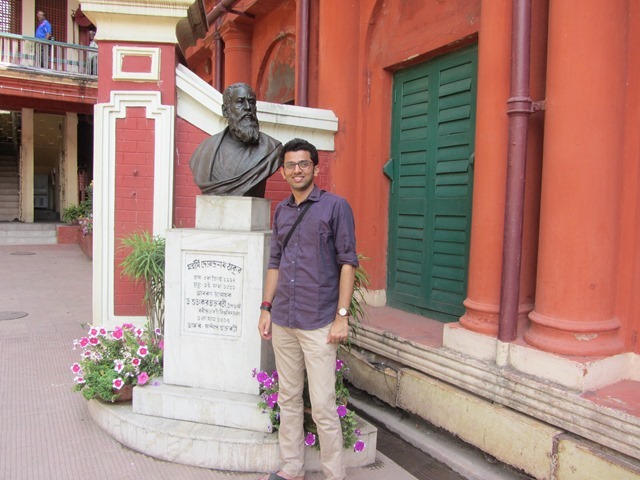 It is the house in which Calcutta’s and India’s pride-Rabindranath Tagore was born and spent most of his childhood. 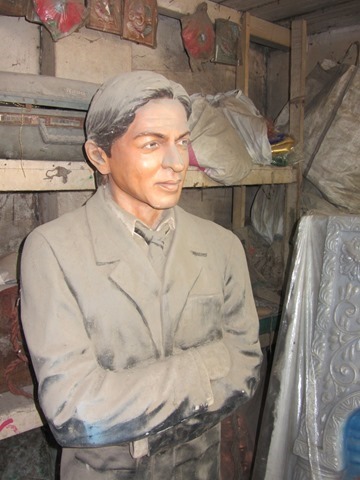 He was the most celebrated poet(Indian National Anthem was his creation along with the national anthem of Bangladesh) and first non European Nobel laureate. 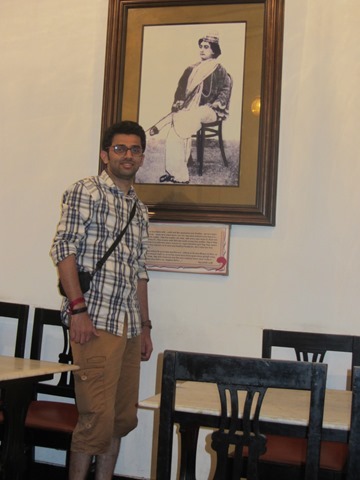 It was an exhilarating experience to visit this place and to know more about one of India’s jewels who contributed immensely in literature,art,music among other things. 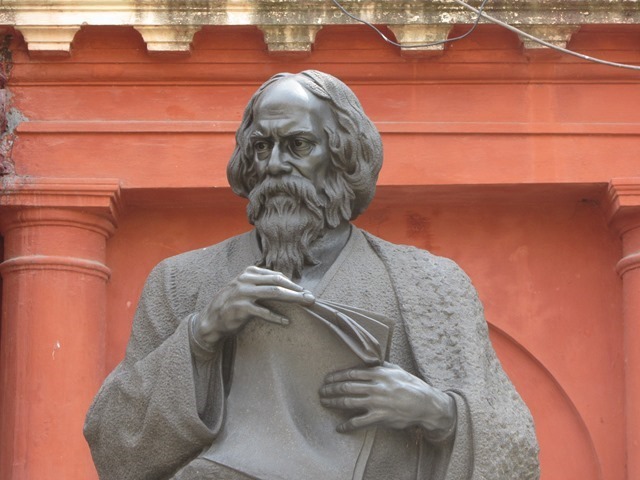 His legacy endures in several of his works on display here which is very well maintained and also in Visva Bharati University founded by him in Santiniketan. 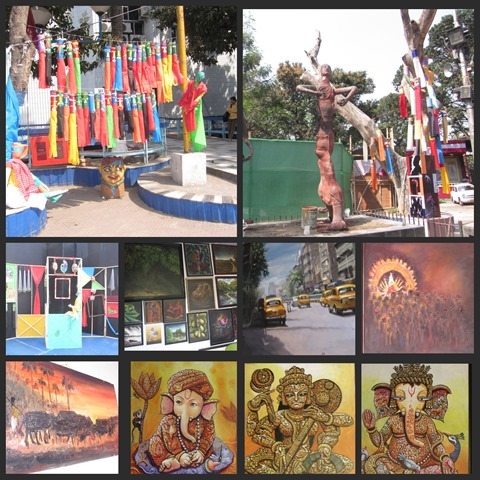 Self note: A visit to Santiniketan when next time in Bengal. 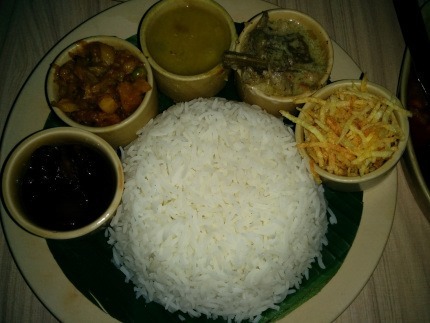 I am a foodie and I am on a see food diet- I mean see the food and eat without much adieu 😛 A satisfying meal will only do good at this stage. 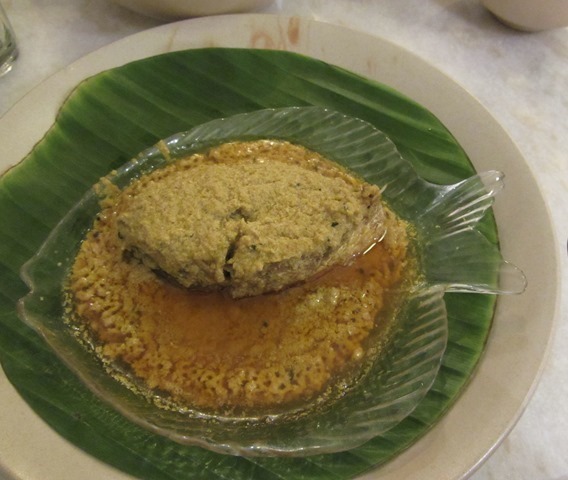 So lets move to Peter Cat restaurant in Park Street where they serve a dish called “Chelo Kababs”- The protected regional product of West Bengal. 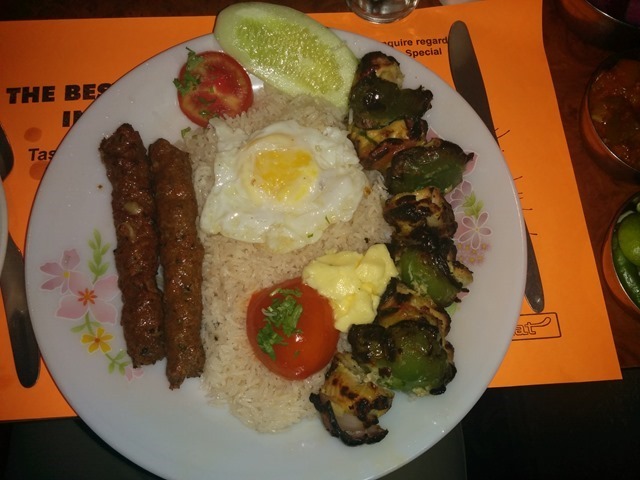 A dish consisting of mutton kababs-the best kababs I ever had, perfectly cooked egg, juicy and very tasty chicken, butter and aromatic rice. Such a perfect meal. Touché. 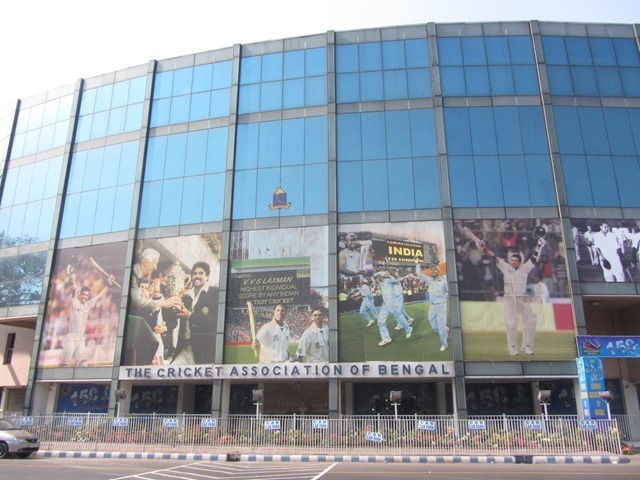 Lets now head to Eden Garden reminiscing about the memorable matches played here in this very ground. Who can forget tat famous victory on this ground during Australian tour of India in 2001. Laxman’s and Dravid’s epic partnership, Harbhajan’s hat rick and moreover India’s unreal comeback into the match and then to wrap up the series in Chennai. Unbelievable to say the least…. 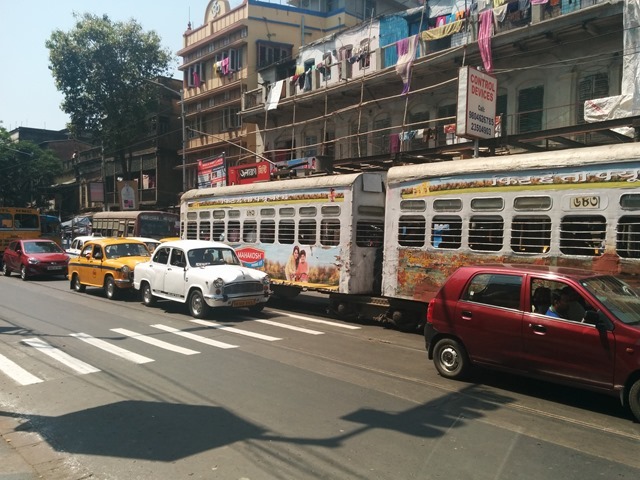 Calcutta Metro is the first underground metro rail system system in India operational since 1984. 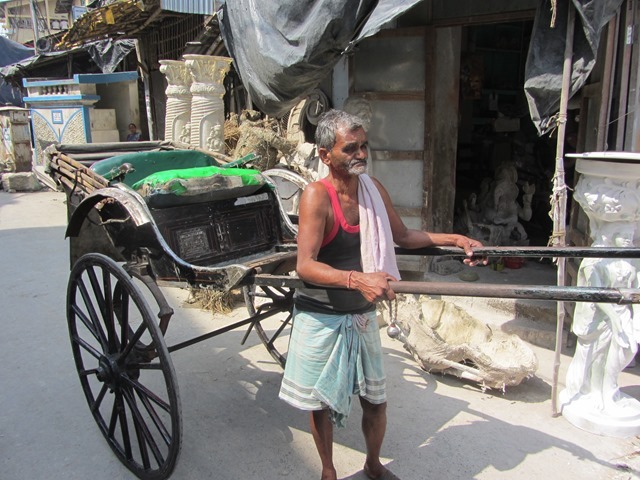 Those Rickshaw walas are one of the most hard working people around toiling hard in the sun for their bread and butter. 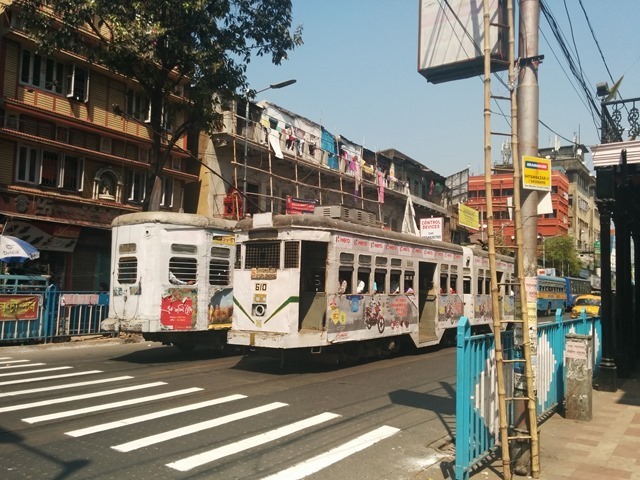 The Calcutta tram is currently the only operating tram in India and the oldest operating tram in Asia running since 1902. 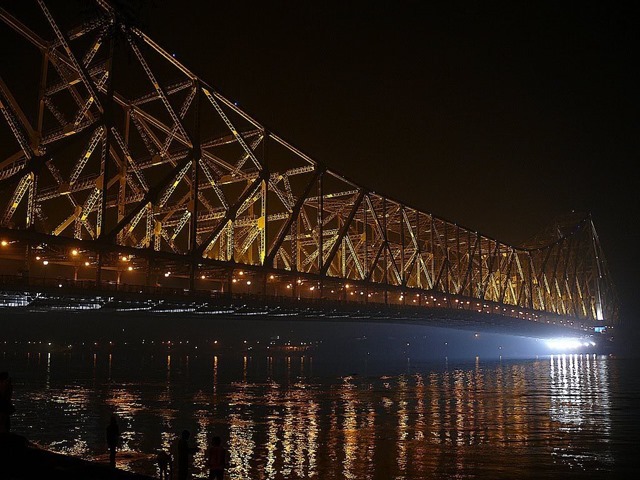 Let’s stroll now to Princep Ghat and then to ever so magnificent Howrah bridge. 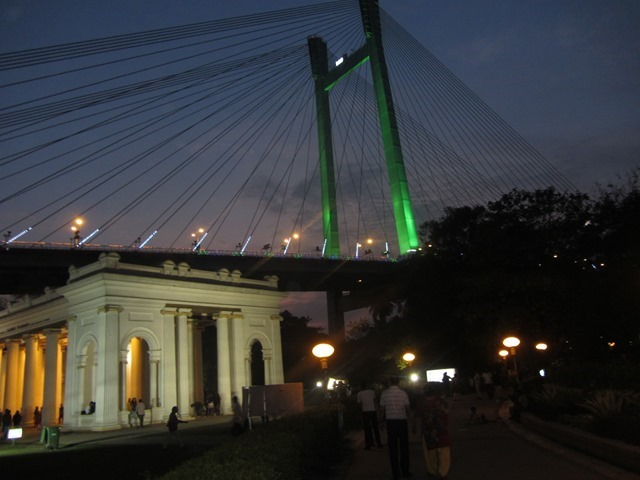 This bridge also known as Rabindra Sethu is symbolic to Calcutta and is the busiest cantilever bridge in the world. 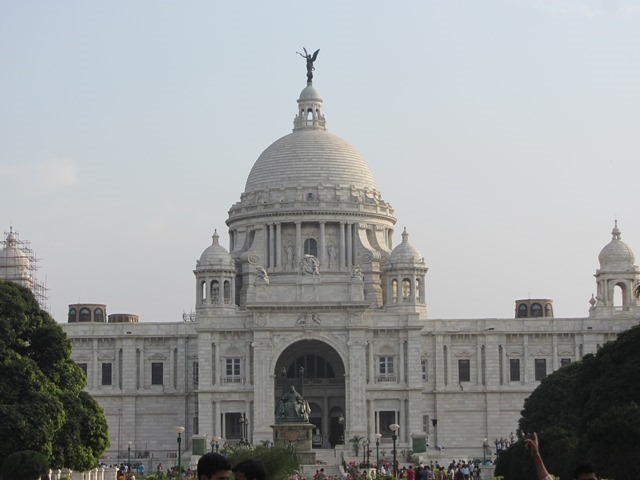 Now we head to The Victoria Memorial, a large marble structure built between 1906 and 1921 dedicated to the memory of Queen Victoria. 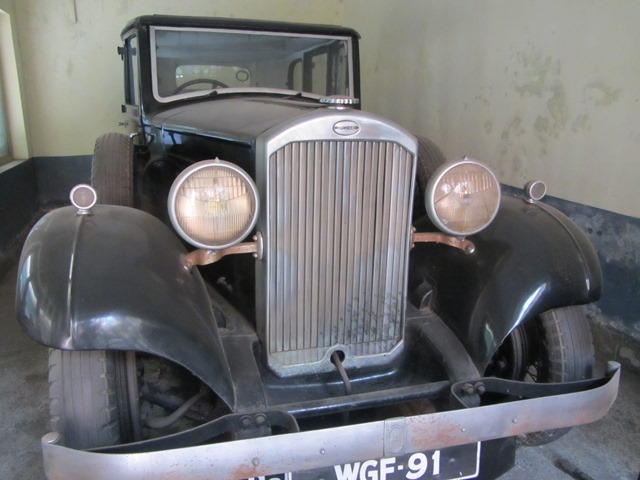 It is now a museum and a major tourist destination by the bank of Hooghly river. 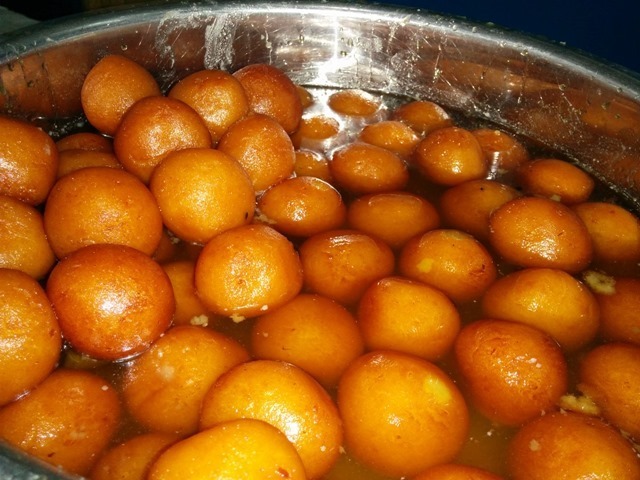 Bengalis are very emotional and passionate people.Given a chance they can lecture or talk continuously for hours together.But they are sweet people owing their love for sweets. 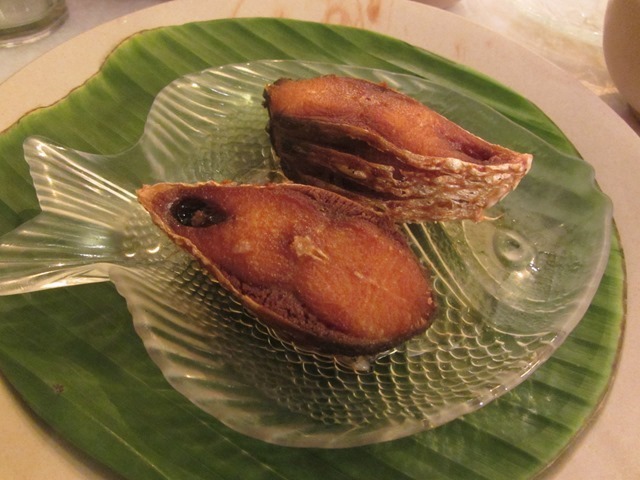 I think Mishti (meaning sweetmeat) comes a close second next to their first love which is Fish.A meal without a fish is very rare and incomplete.They can swear by fish literally. Apart from fish,they love their football and off course cricket. Mohan Bagan/East Bengal match at Salt Lake stadium garners as much attention and interest as a World Cup cricket match elsewhere in the world. 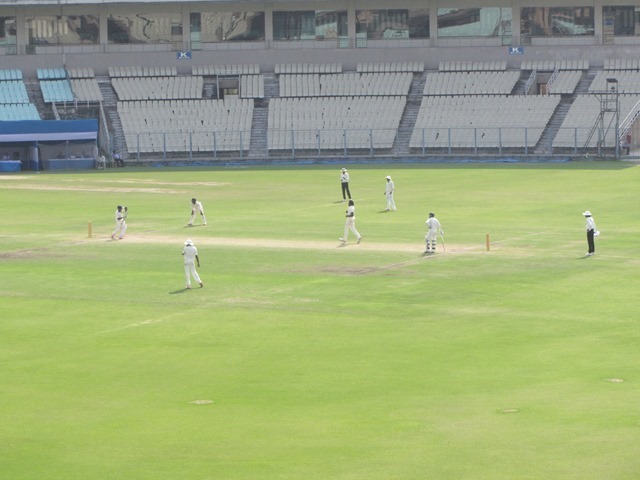 Cricket in Eden Gardens is as electric and noisy that most parts of Calcutta near the Maidan can feel the atmosphere when a game is on. 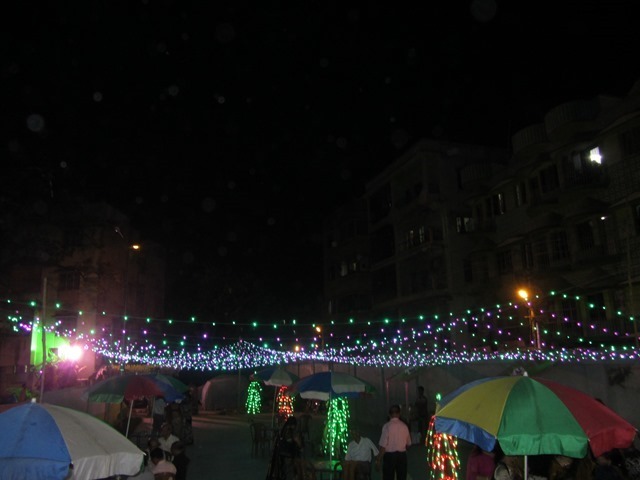 And Durga Puja in Calcutta is one of biggest festival of India. 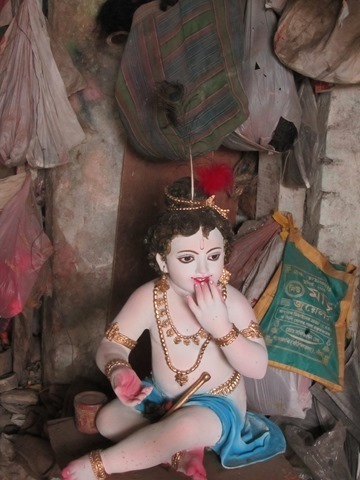 What Ganesh Chaturti is to Mumbai, Puja is to Calcutta. I was told that Calcutta experience is incomplete without Durga Puja which is reveled and celebrated with as much pomp and glory as one can ever imagine. 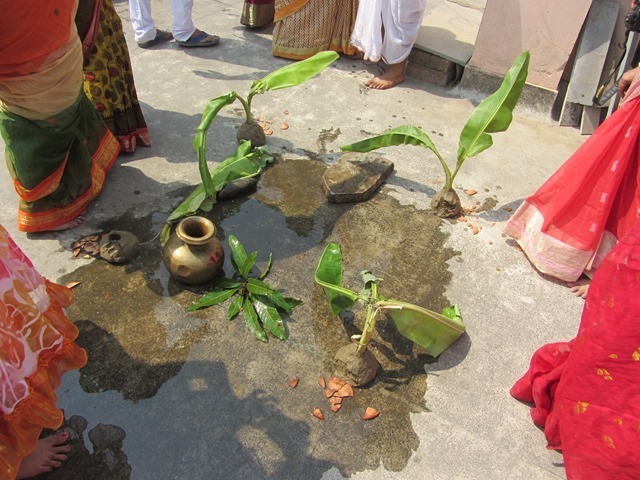 Unlike most of the wedding here in Southern part of India, a Bong wedding usually starts in the evening. 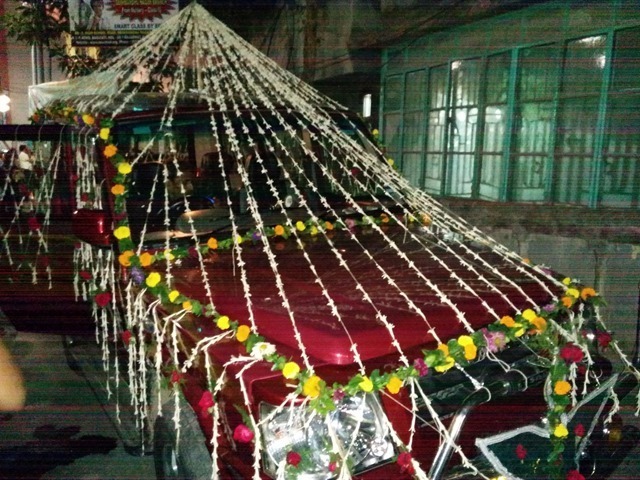 On wedding day early morning at around 4.00 hrs the wedding rituals began where the groom and bride in their respective homes were made to have some food after which they were not supposed to eat anything until the next day when all the marriage rituals ended. On the wedding day before lunch hours,a ritual called as Nanni Mukh took place where the groom remembered his ancestors before tying the knot (later in the evening) followed by haldi where all the women out there put haldi on the grooms face who was made to stand firm on a stone viz the most interesting time to click some candid and funny photos 😉 To wash off, he was poured with a bucket of water and then the groom had to crack open 4 small cups surrounding him made by mud. 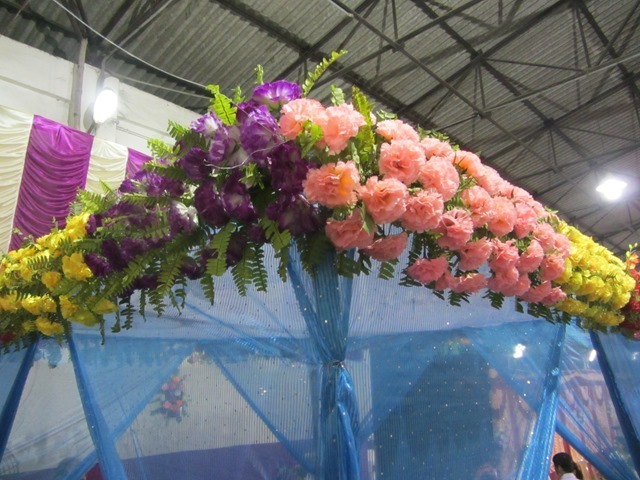 Once this was done, the haldi used to put on groom was passed on to bride’s place along with her wedding dress and some gifts generally called as shagun where bride is put up with same haldi. 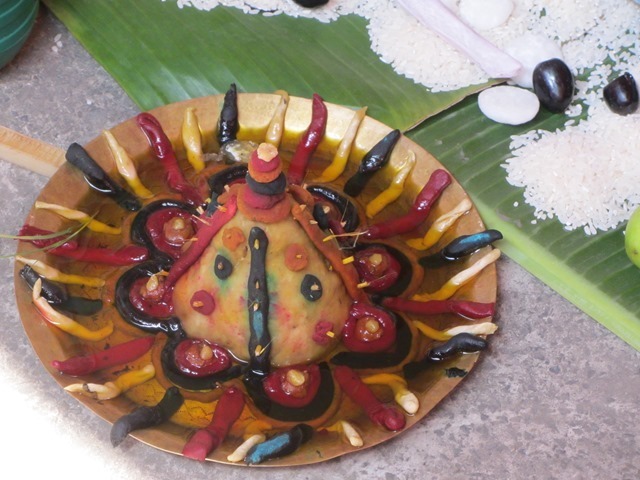 Amongst this, Rohu fish was decorated as a bride. 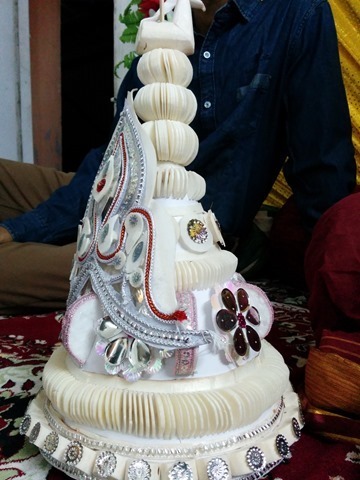 The groom was greeted with all the necessary special attention and offered some mishti by bride’s side.During the mahurath, groom was made up to stand firm at a fixed place and the bride was carried to the mandap by her brothers while she covered her face with beetle leaves.The bride was made to take 7 rounds around the groom which signifies 7 vows of marriage and then to remove the covering from her face only when she faced the groom after saath phere amidst lot of cheers and clapping.Then they exchanged garlands 3 times followed by Sindhur Daan viz maang barna.The marriage rituals ended after a yagna(Agni shakshi). 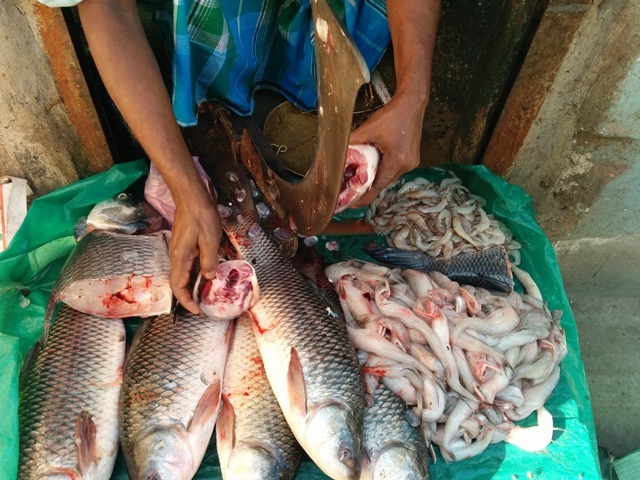 After having a special meal viz as I said earlier, having quality time with Bengali fish, we had a friendly interaction between both the families which was playing antakshari in this case. We played for over 2 hours such that all the songs were either already sung or we had no new song to sing for a particular word. Led by the groom, we won when the bride’s side was deliberately and repeatedly given a particular word and the game ended when they finally gave up at 4.30 am.Before that we had to negotiate a price with the bride’s friends, for making the couple enter a particular room.They were seven in total for which they demanded 20k and we gave them only 3.5k(500 per head) after making them wait for a long time and hence succumb to pressure and impatience. The next day it was vidhaai time at bride’s place and a reception on the subsequent day on the groom’s side which panned out nicely.It was a most fruitful and enriching to experience a Bengali wedding as unique as this. 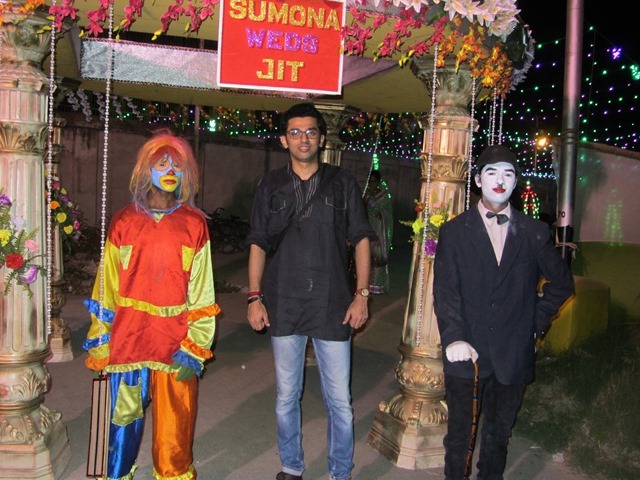 Hope you enjoyed it too through this blog post. 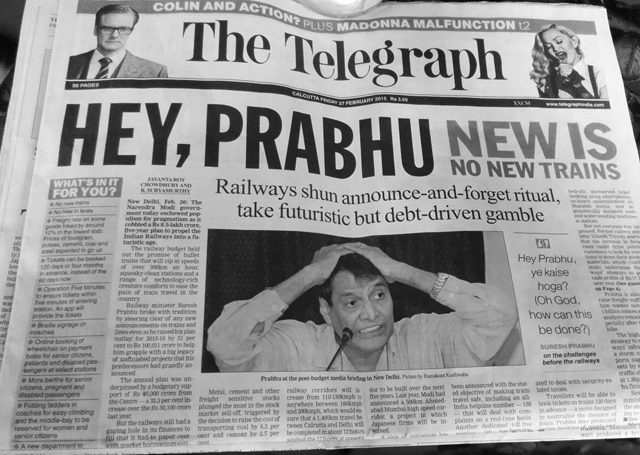 Also, this blog has been published in Tripoto. 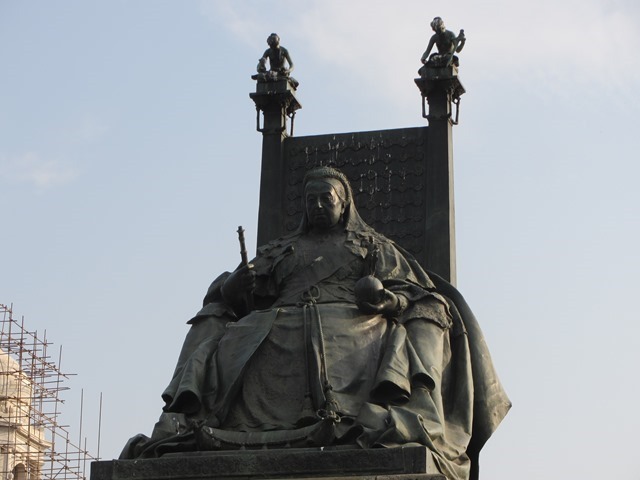 Please use this link to access this story from Tripoto. P.S: Here in this post, Calcutta(old name of the city) is used instead of Kolkata as someone rightly said “Kolkata is a city whereas Calcutta is a emotion”. P.P.S: On my last day in Calcutta, early morning when I was listening to music in shuffle mode, coincidentally this beautiful song by Hemant Kumar cropped up which sumps up my visit quite brilliantly.